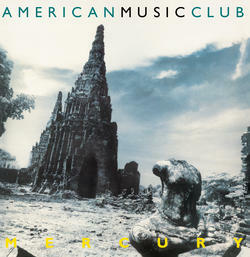 Mercury is the sixth release by American Music Club and their major label debut on Reprise, originally released in 1993. Produced by Mitchell Froom and engineered by Tchad Blake (Crowded House, Los Lobos) featuring a subtle mix of pedal steel, electric guitar, and understated drumming supporting Mark Eitzel’s lyrics laying out his personal tales of pain and desperation. Spin magazine voted Mercury the 14th best album of 1993. On 180 gram vinyl. [4:06] Will You Find Me?